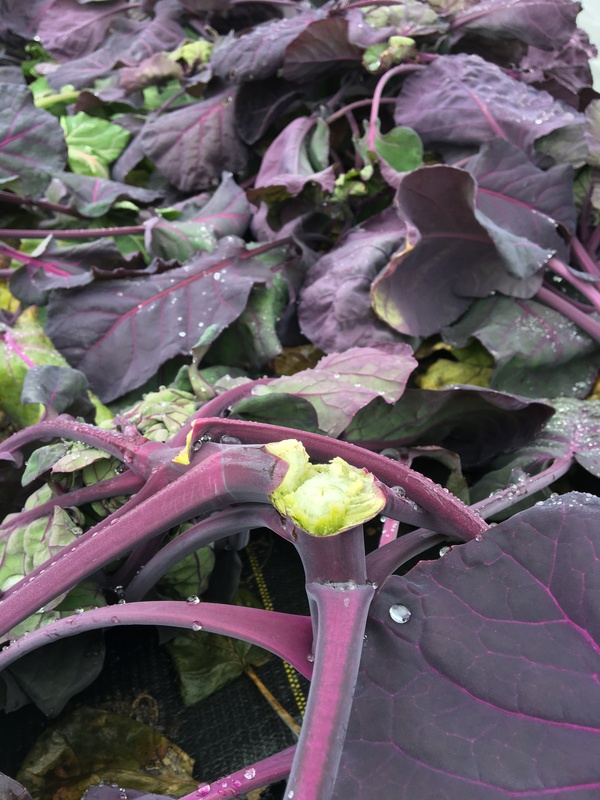 We would love to extend our growing season into the winter months. With more infrastructure coming soon, we’ll ramp up for that. 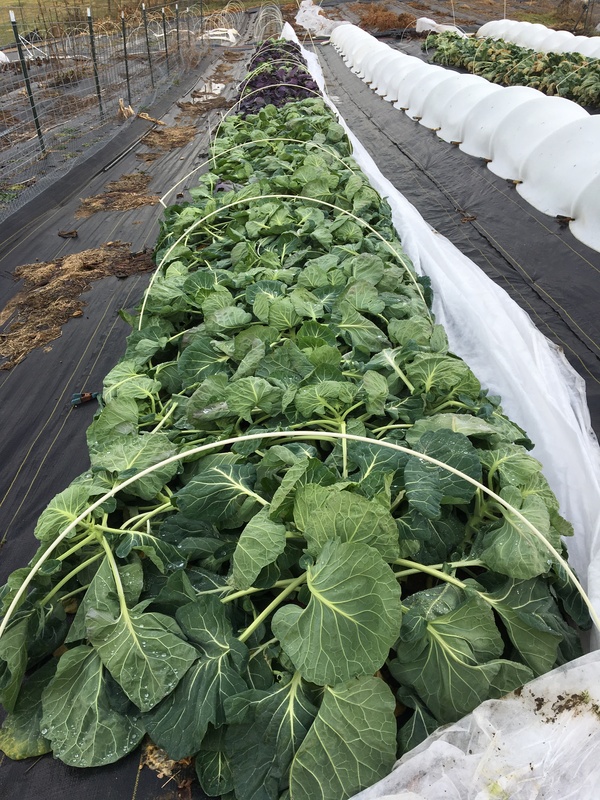 But for now, we have a few rows under production and some that are overwintering produce. Our society is so spoiled by having every want and whim at our beck and call in the grocery store that we have forgotten all about seasonality. There are some vegetables that grow better in the cooler season or taste better after the first nip of frost. 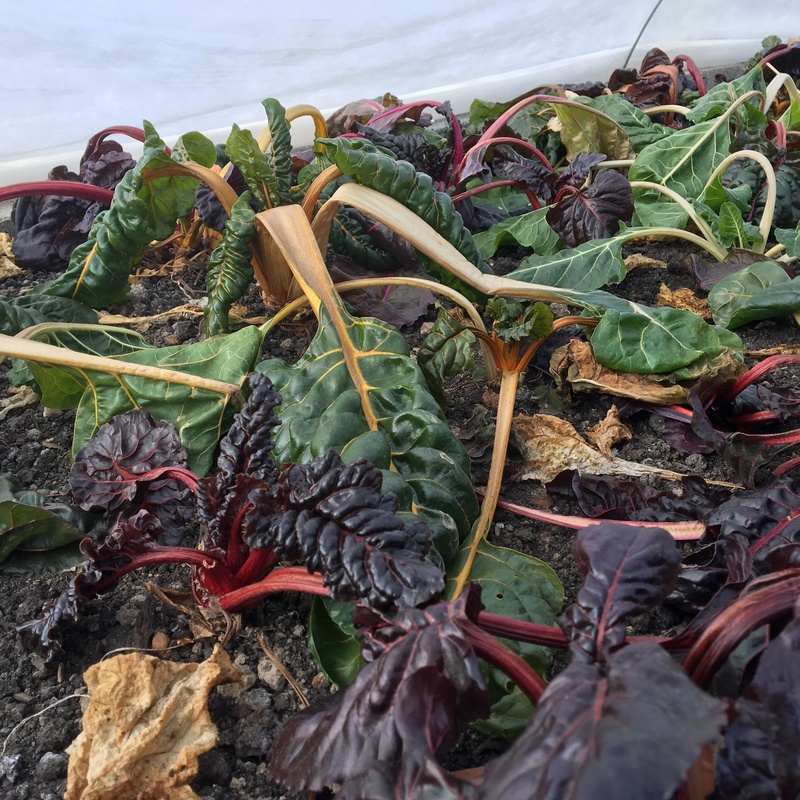 These cooler season crops are such delicious treats to enjoy during the winter doldrums. Though the winter garden is easier in the weeding department – as in really little weeding necessary – it still does demand some time an attention. Weather was forecasted to be in the teens…brrrr. 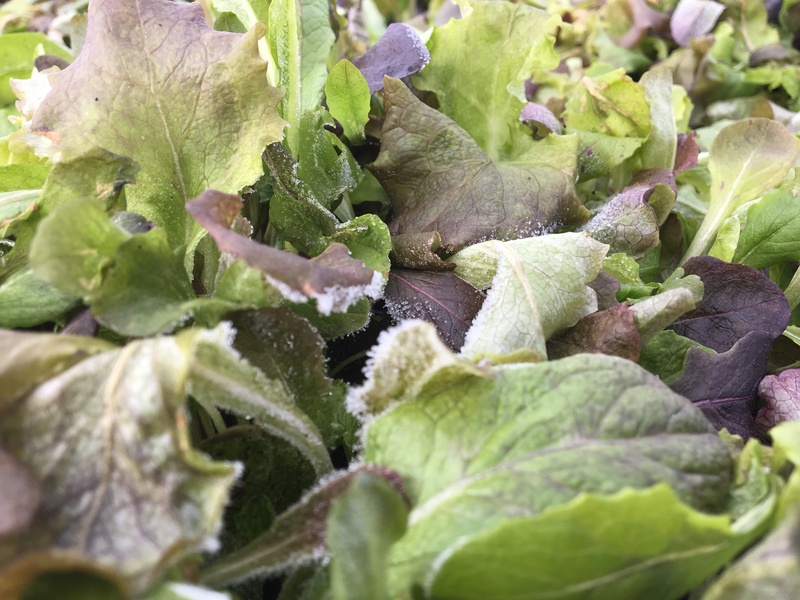 Certainly cold enough to freeze plant cells and cause some serious damage. 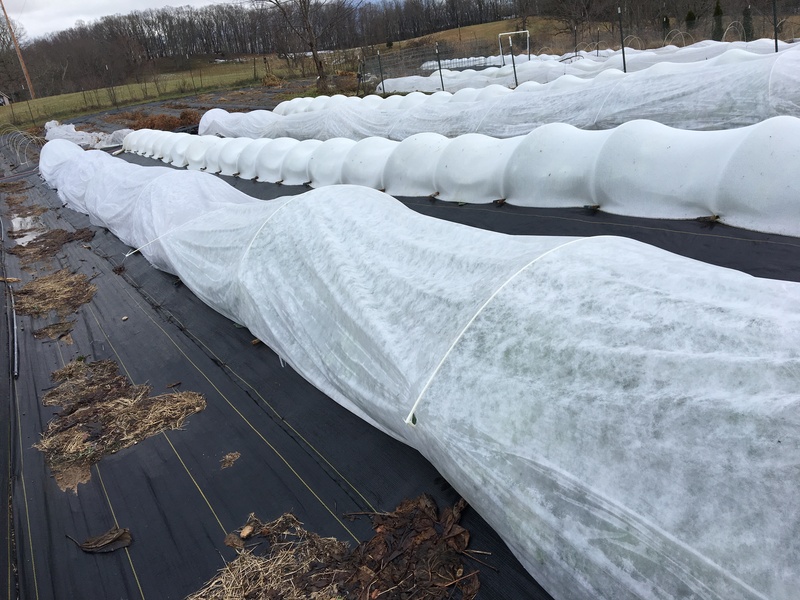 To prepare for the cold, we placed multiple row covers over the beds with the last cover raised higher to create an air space between it and the other row cover. The downside of the outer cover is that it is held up with our taller, fiberglass poles. Not metal poles. Metal poles are great. They may collapse under the weight of snow, but once the snow is gone they spring right back to shape. Fiberglass? Nope. They collapse under the weight and SNAP! 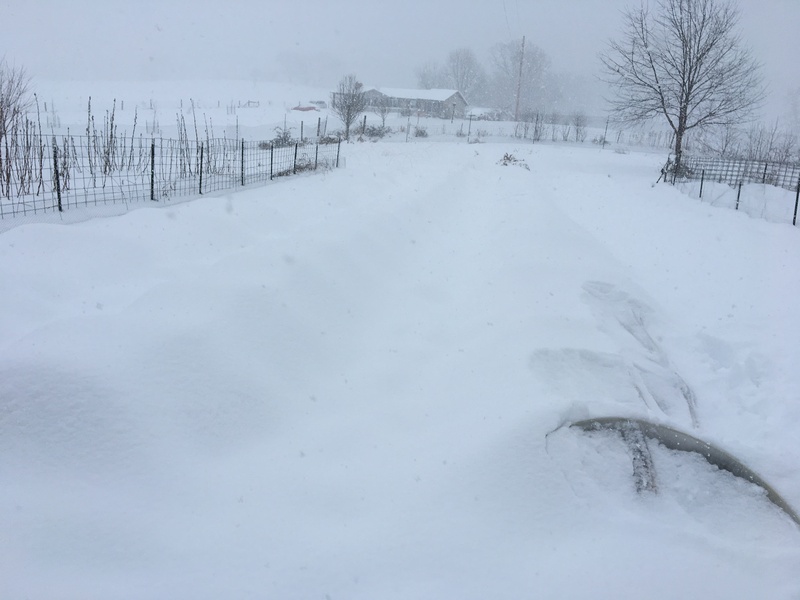 So, although the snow is pretty, gives some much needed moisture to the soil and even helps to insulate (and protect) plants beneath it, if it keeps snowing today, I’ll have to keep sweeping it off to keep the fiberglass poles from snapping. You can see in the photo that some row covers have already torn under the strain. 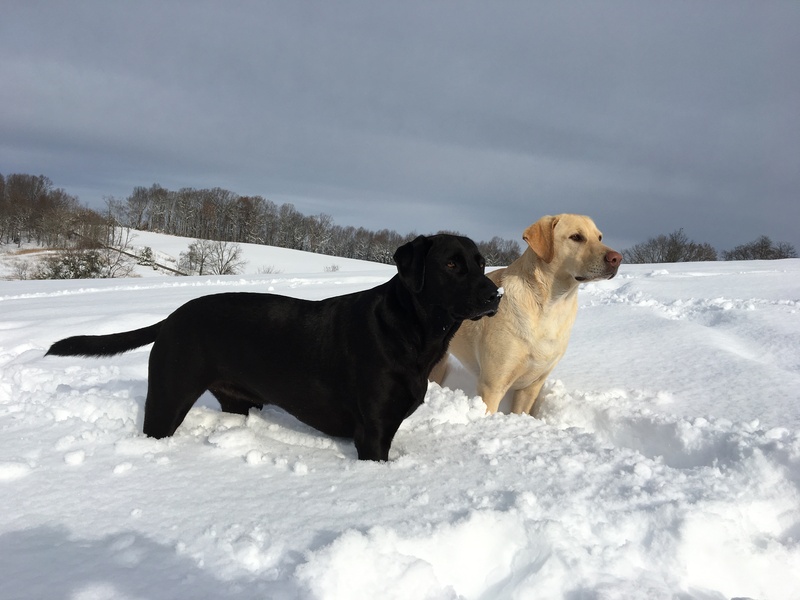 They will have to be replaced after the snow melts. Why go to all the trouble? Because these delicious beauties lie underneath and are totally worth it! 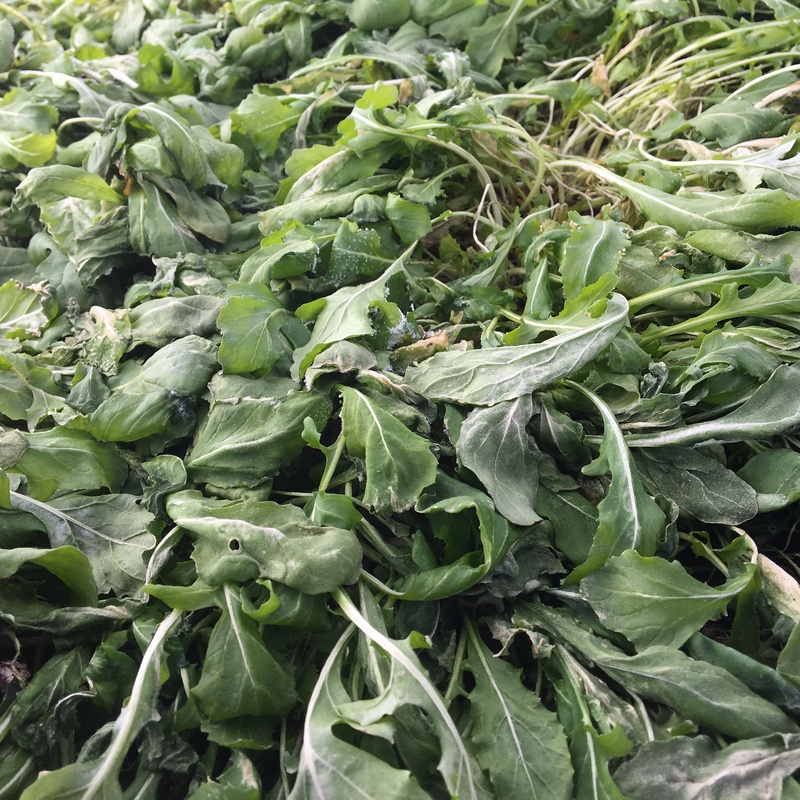 Pre-cold snap harvest – stocking up!